Happy Spring! 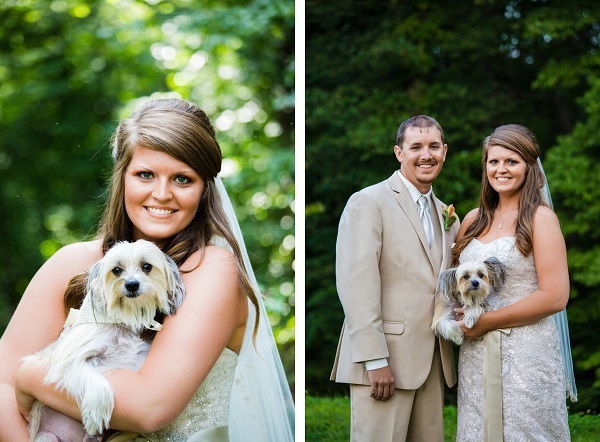 Melissa Perella Photography & Design sent in this cutie who was the best dog in his parent’s wedding. 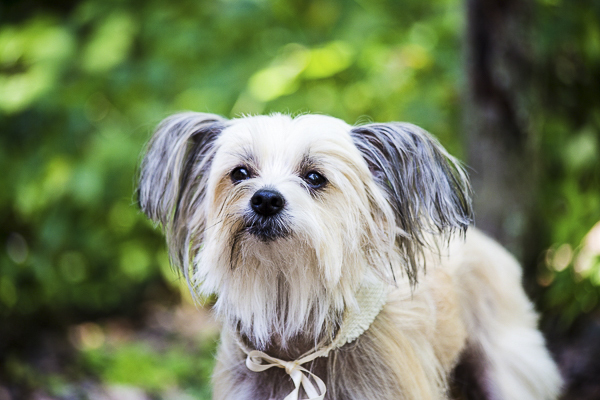 Captain is the cutest Chinese Crested pup who probably steals the show wherever he goes. From Kelsey: Our baby is 12 pounds of pure rotten. We have spoiled him to pieces. 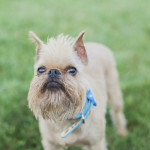 He is half Chinese Crested Powder Puff and half Chinese Crested hairless. So he has hair like the powder puff version of the breed, but it’s not as thick. He has a couple of little bald spots, which I think just adds to his character He will be five years old on June 29th of this year, so he had just turned 3 when my husband and I were married. Although I’m a huge advocate for rescue animals, he was not a rescue. Friends of ours (the couple that told us about him) have his sister, Dixie. Captain has enhanced our life so much, so how could I not give him an important spot in our wedding? 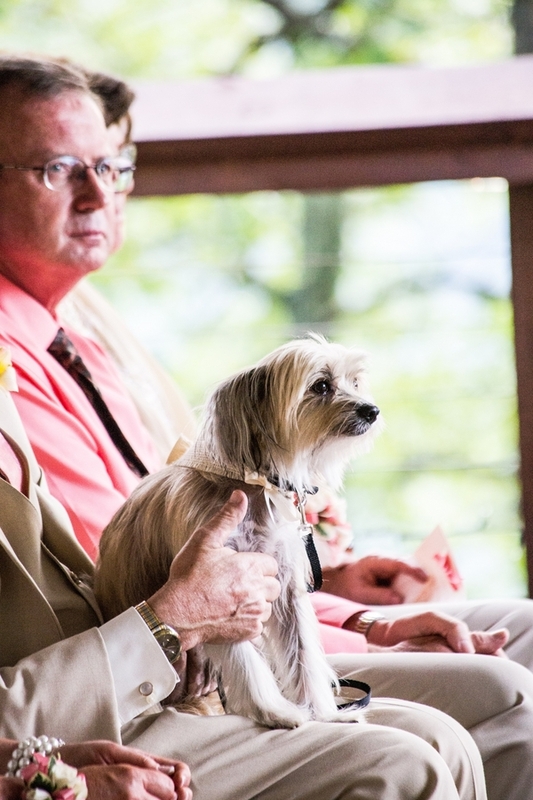 I think my stepdad was more excited about walking Captain down the aisle than if I had asked him to walk me. My mom walked me down the aisle. 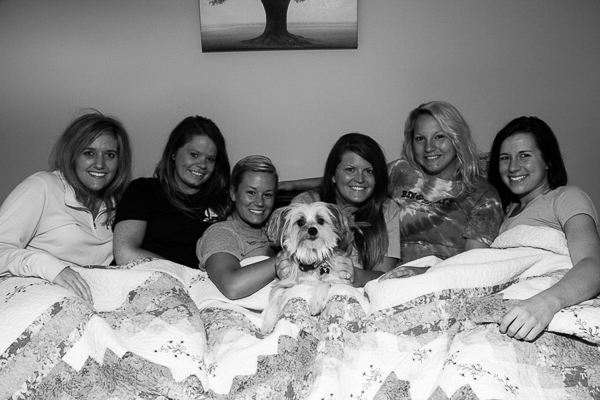 You can see more of Melissa’s work by following Melissa Perella Photography & Design on Facebook. 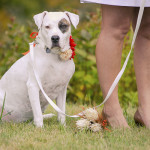 About Melissa Perella Photography & Design: Based in Huntington, West Virginia, Melissa specializes in wedding photography as well as family portraits. 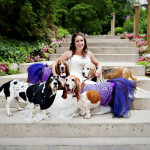 I would love to include my dogs when I get married. Great post and beautiful photos. 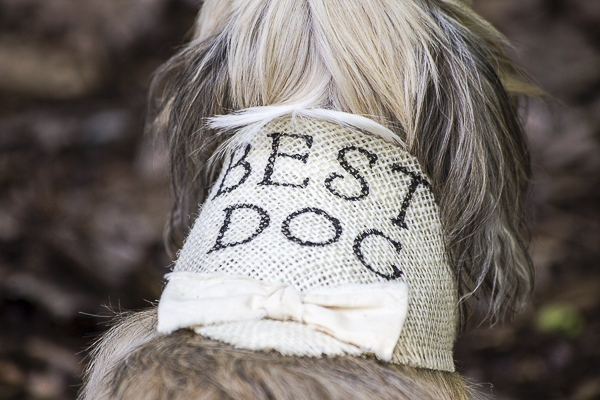 Your dogs will be gorgeous as wedding attendants or guests!